A few years ago a delegation of environmentalists and officials from the Adirondack Park visited Lake Baikal in Russia. Lake Baikal is so large that it is often mistaken for a sea. It is the deepest and largest (by volume) freshwater lake in the world, and thought to be the world’s oldest as well. Famous for its crystal clear waters and unique wildlife, the lake is under threat by pollution, poaching and development. While Russian culture has much to admire, it is rule of law that makes America special. As a drafter of laws for 30 years at the state Legislature and as an engaged citizen, I respect our state laws. It is troubling to me when, for example, a law like the state heritage area law is ignored and intentionally is not funded or not supported with staff, as is happening in the State Office of Parks, Recreation and Historic preservation law under the Cuomo administration. 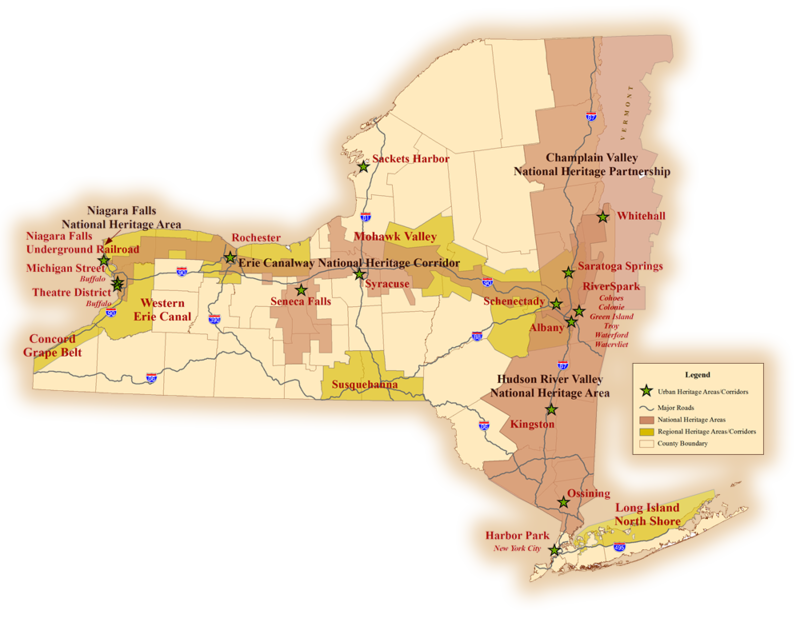 The New York State Heritage Area System Act of the New York State Parks, Recreation and Historic Preservation Law enacted in 1982 represents the first and most comprehensive attempt at creating a statutory framework for the designation and management of urban and regional heritage settings. Today, the system has 20 heritage areas, like the Albany Heritage Area, designated by the state Legislature. The 1982 New York law creating a system of 13 state heritage areas is the forerunner of the 49 National Heritage Areas, which include the Erie Canalway National Heritage Corridor and the Hudson River National Heritage area. The first National Heritage Area, The Illinois-Michigan National Heritage Corridor, was created 30 years in 1984 ago by Congress. But our state parks agency abandoned the state heritage areas and their law, leaving the responsibility to local governments. Some heritage areas have had success; others have failed for lack of state partnership support. This abandonment of the state heritage area law, which remains in the state law books, is a sad example of the failure of the rule of law by the state of New York.